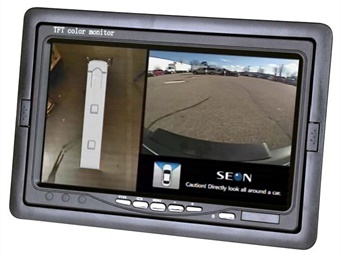 Seon, provider of mobile video surveillance and fleet management solutions, announced the launch of its inView 360 Around Vehicle Monitoring (AVM) System, which eliminates dangerous vehicle blind spots that threaten student and pedestrian safety, into the school bus and transit fleet markets. Four cameras strategically placed around the vehicle capture a 195-degree ultra-wide-angle view of the front, rear, driver and curb side of the vehicle. These four views are blended and stitched together in an Electronic Control Unit and then displayed to the driver in real-time as a single ‘top-view’ image on a dash-mounted monitor. A split screen shows drivers both the bird’s eye view around the vehicle, plus a second view that changes depending on operating conditions. For example, when the vehicle is in reverse, the rear-camera view displays on the right side of the monitor with colored guidelines to help drivers navigate tight parking spots. When combined with a digital video recorder, the views on the display can be recorded and reviewed by fleet managers to easily identify the cause of an accident. 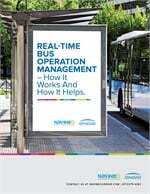 Playback software displays multiple camera angles and audio synchronized with vehicle telemetry data such as brake signals, vehicle speed, and GPS location giving fleet managers verifiable evidence to prove false claims and reduce insurance costs.